Check out these little Veggie Puff Pillows I made for Comox Valley Kids. 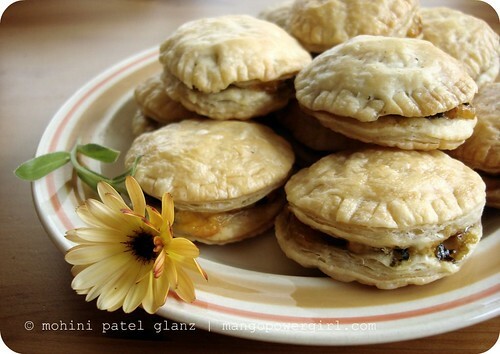 “Puffs” are a popular Indian street food, generally pastry stuffed with layers of mixed veggies which is baked. I used the same general ingredients in these puffs as in their Indian relatives, but for a kid-friendlier version, I kept them tasty but non-spicy. My Veggie Puff Pillow are bite-sized, the perfect size for dipping if you want some spice on the side. This is a great way to use your leftover vegetables, and you can add whatever spices or herbs you like. It is so much fun to create kid-friendly recipes for CVK and I wish you all the best as you launch the new site. 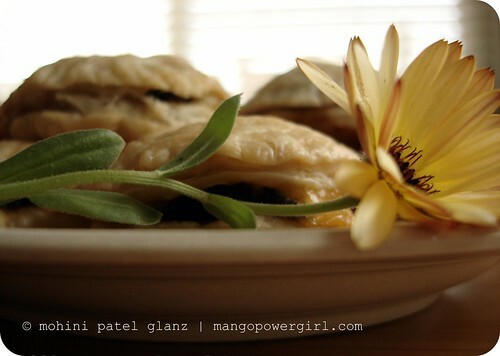 Since I don’t have kids of my own yet, I think back to what my mother would’ve done to make me eat healthy but interesting vegetarian foods when I was growing up, in India. “Puffs” are a popular Indian street food, generally old fashioned pastry stuffed with layers of mixed veggies which is baked. I am cheating a bit here by using store-bought puff pastry, but if you find a good quality, local kind, like I did from Seattle’s Aussie Bakey, it is such a handy thing to have ready in your freezer (editor’s note, Edible Island does occasionally have an excellent puff pastry). This recipe is also a convenient way to use all the extra or leftover vegetables you have lying around. It is super with seasonal vegetables like squash, and it works with vegetables that most kids don’t eat very easily, like spinach. I think spinach with cheese rolled in puff pastry tastes really yummy! I snuck in a few other vegetables for my version and they tasted great. You can vary the recipe by adding peas, potatoes, or carrots, or try different types of cheese like cottage or ricotta, or try using tofu — this is what I do with my leftover tofu scramble! This is a popular bite-sized appetizer or side dish for any meal. It just takes a little bit of prep, but you can certainly prepare the filing in advance and store it for later. 1. Thaw the puff pastry according to its directions and preheat the oven to 175 C (350 F). 2. Sauté garlic in oil briefly, then add bell pepper, mushrooms, and spices, and let them cook for a few minutes. 3. Add the spinach, salt, and red chili powder, and let it cook down for a few minutes. Stir. 4. Turn the heat off when the spinach is cooked down and set the filling aside to cool just a bit. 5. Roll out the puff pastry sheets and cut out rounds, or any of your favorite shapes. 6. Add the cheese to the filling and mix well. 7. Place about a tablespoon of filling on half of the rounds, cover each with another round, and press the edges down lightly with the back of a spoon, working your way around. 8. Bake for about 15-20 minutes or until the pastry looks golden brown. Let them cool for a few minutes off the baking sheet, then serve. They look so easy and delicious…a great party idea MPG. Do you know someone in Comox Valley? This is where I live. These look sooo darn good. I will certainly have to try this with our son. Peter – Yup, they work as a great appetizer.Helene – Yes, Robin from Comox Valley who runs the blog. Do check out their site.Matt – I hope he likes it then 🙂 he seems like such a good eater with all the good food you make him. Is it just me or is that a dead hyperlink? I found the recipe by searching on veggie puffs on the comox valley site though. Megha – Comox Valley has upgraded their site recently, so I needed to update the link. Thanks for letting me know, I fixed it. I love the look of these pastries. I could eat most anything wrapped in pastry.